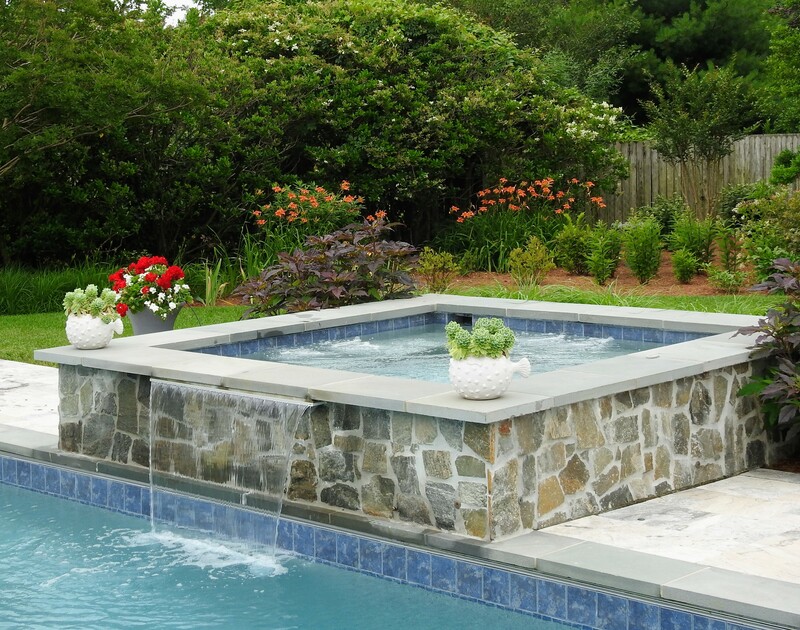 Bella Terra Landscapes is a local Delaware company serving Delmarva. 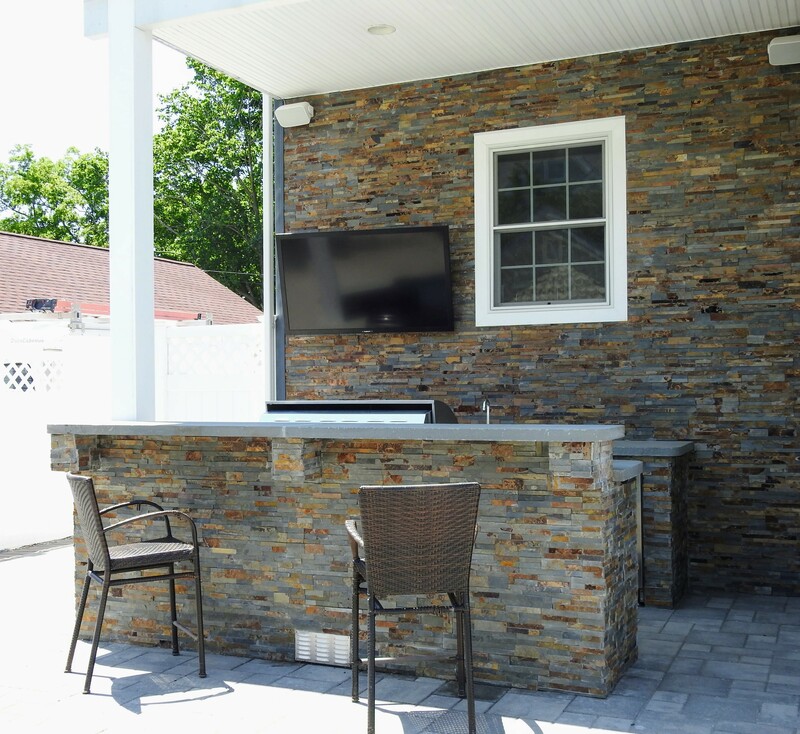 We provide a wide range of services, custom tailored to your outdoor living needs. Our staff is committed to quality care and a personal approach, striving to create lifelong relationships with our clients. 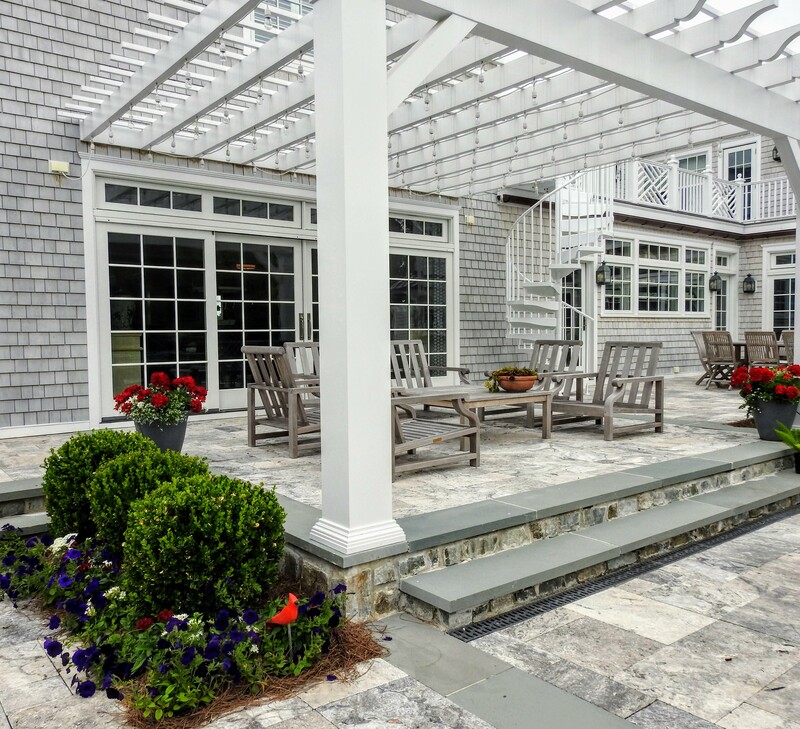 We have a rich family history of generations, born and raised in Delaware, and a family owned and operated business that takes a personal interest in your home and outdoor living spaces. Take a look at what we have available in bloom for you! Things may be looking a little drab this time of year, but not these beauties! 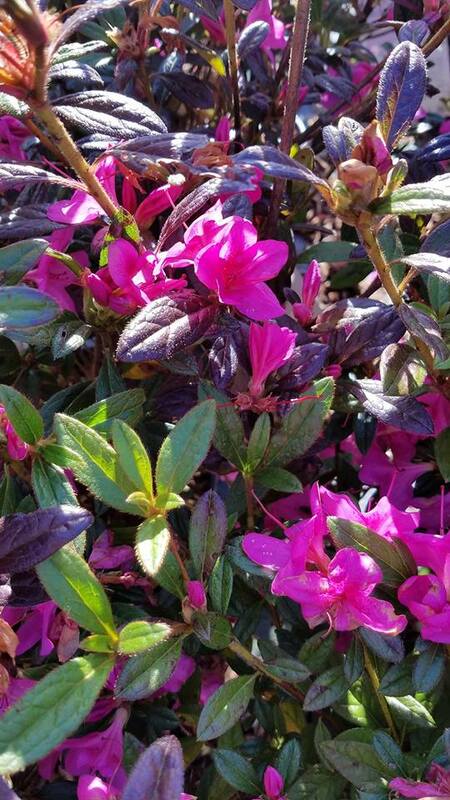 'Autumn Amethyst' Azaleas are bursting with vibrant color, and are the perfect addition to any border that's in need of some Fall color. AND....they're on sale! Check out our tips and tricks for the season and growing your flowers. 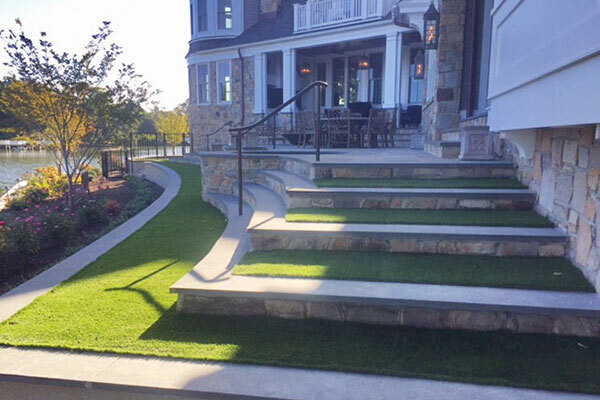 Bella Terra Landscapes has built a solid reputation for mowing, gardening, landscaping and saving our clients time and money. Complete design services for residential and commercial property. 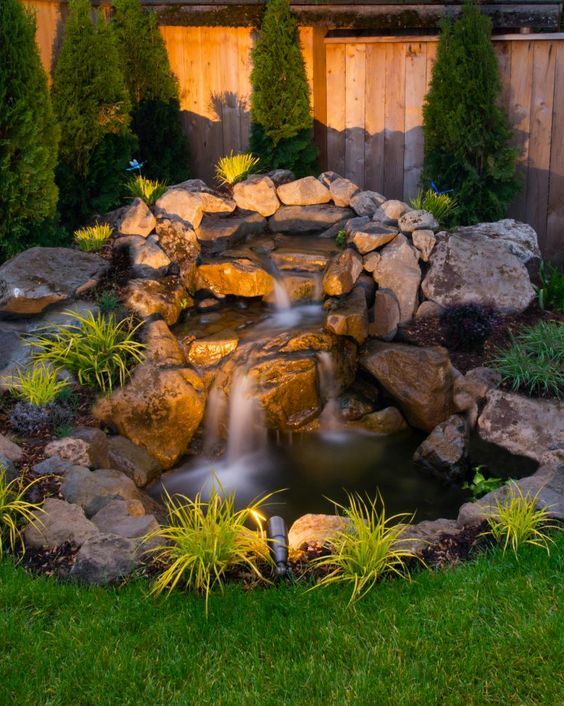 Would you like to add a water feature, a perennial garden, or a complete outdoor living space to your landscape? 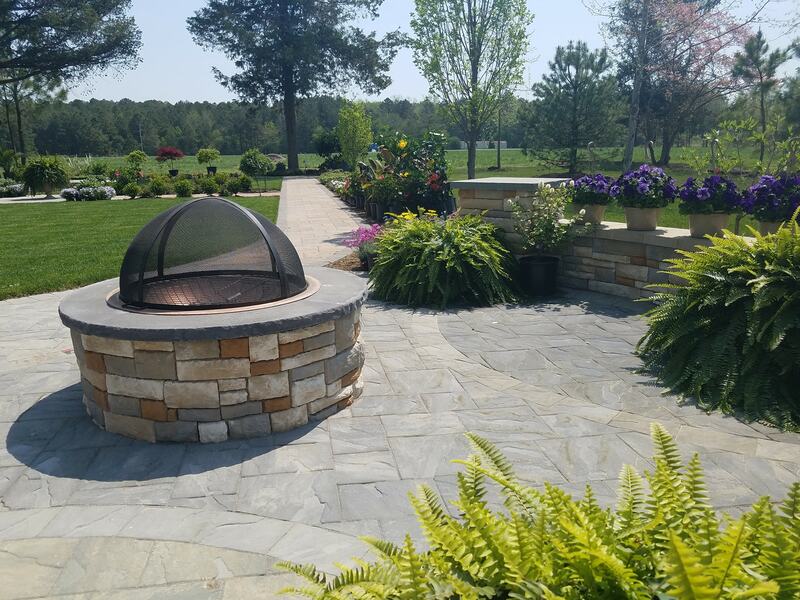 No matter what it is that you are looking for, Bella Terra Landscapes will help you create it, and work closely with you every step of the way – from creative concept and design all the way through to completion. 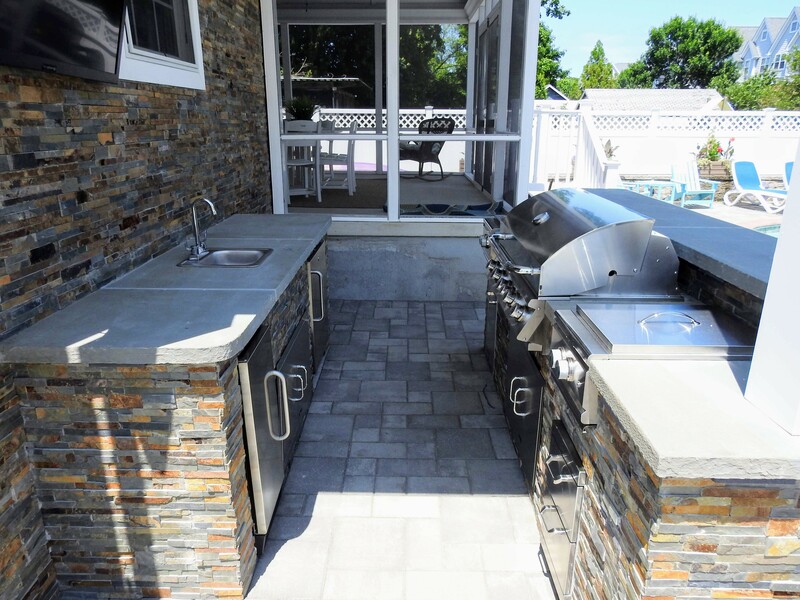 Concrete paver and natural stone patios, outdoor kitchens, retaining walls, walkways and borders. 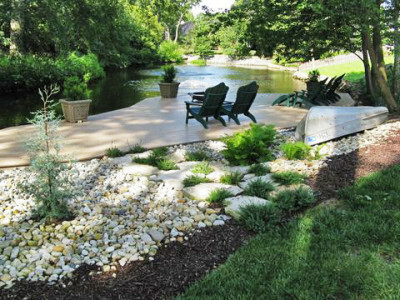 Whether you use your yard for swimming, relaxing, playing with the kids or entertaining, there is a landscape plan that can make this outdoor space feel like part of your home. 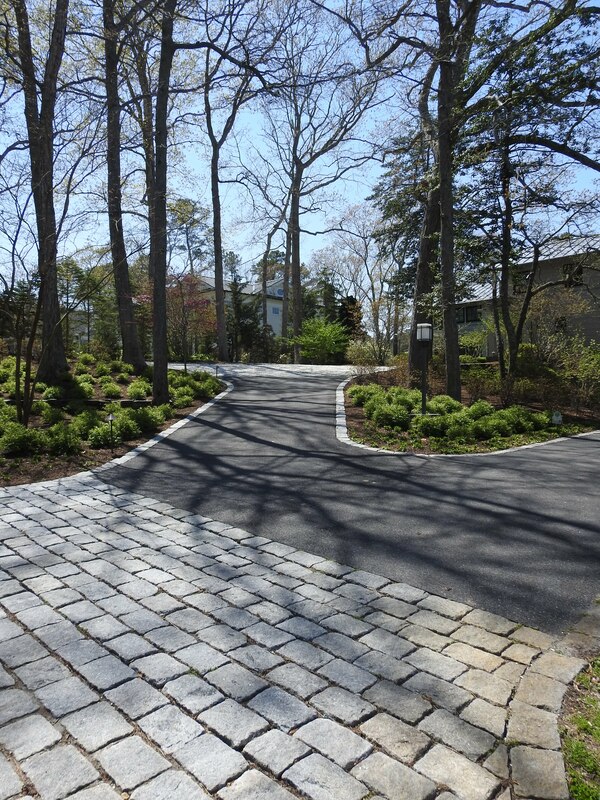 By defining distinct areas for different purposes, a good landscape and hardscape plan can turn your yard into an inviting retreat. Bella Terra Landscapes specializes in quality automatic watering systems and landscape features that make your lawn look better all year round. 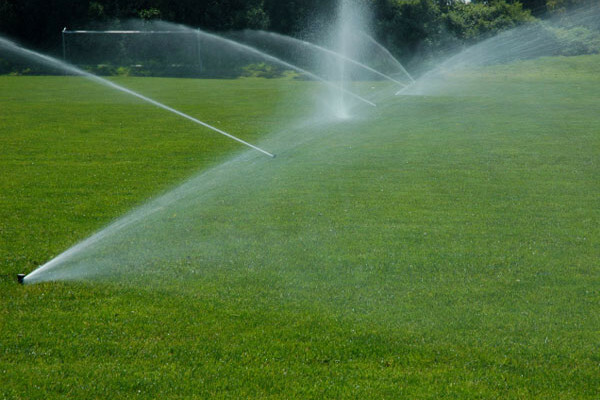 Selecting a company that provides comprehensive irrigation services is important for the health and beauty of your landscaping, as well as the environment. 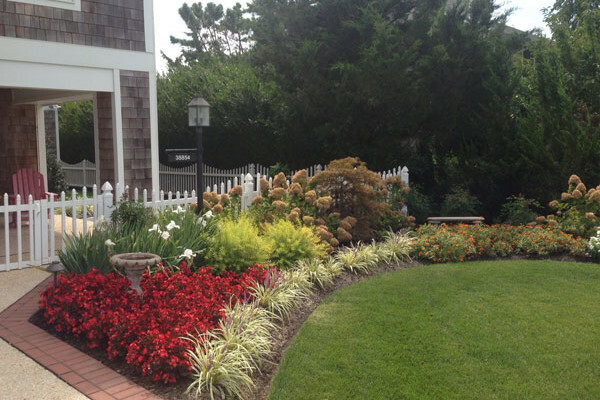 Managing these essential components ensures that your Delmarva garden or property will look its very best, all season long. 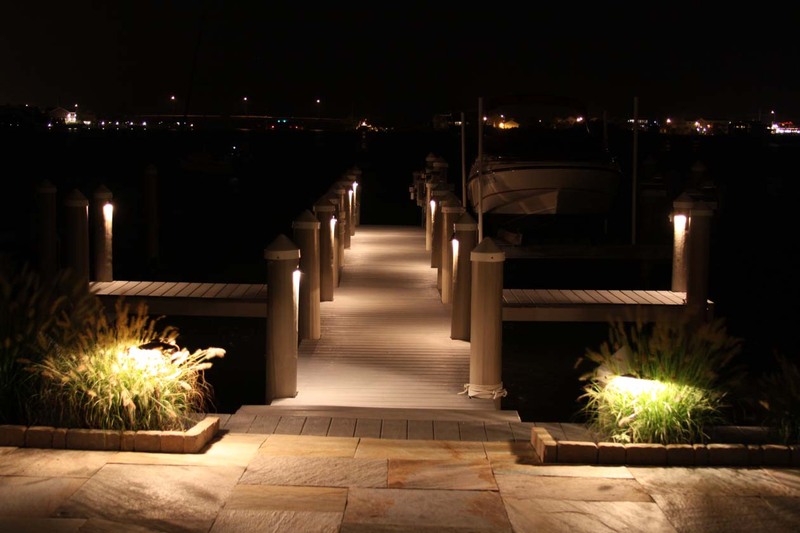 Outdoor lighting in Delmarva offers homeowners a way to enjoy their patio, yard, and garden settings after dark, and it adds an element of safety. 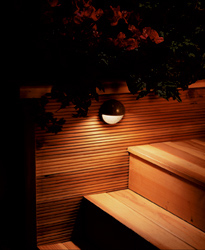 Light has the ability to transform an outdoor space into the perfect living and entertaining area. We can install LED money-saving light and retro-fit existing system to accept LED replacement bulbs, saving you energy costs and repeat service calls. 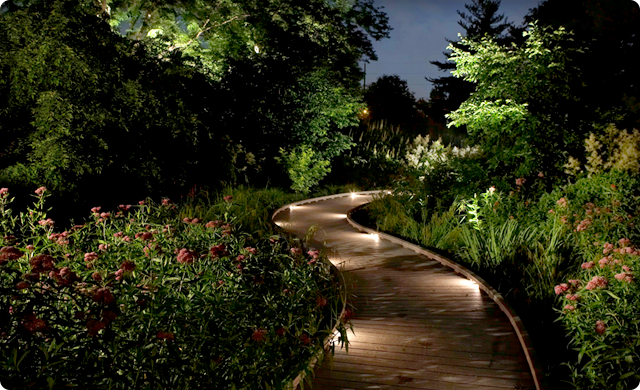 Complete low voltage landscaping lighting design, installation and maintenance. Come visit our nursery! We have a large selection of annuals, perennials, tropical plants, trees and shrubs. Be sure to check out our Events/Specials tab to see the latest Bella Terra happenings and deals. Work Site: Is this the address of the prospective work site? directors, and managers to get your project started. Have used and recommended Bella Terra for many years. 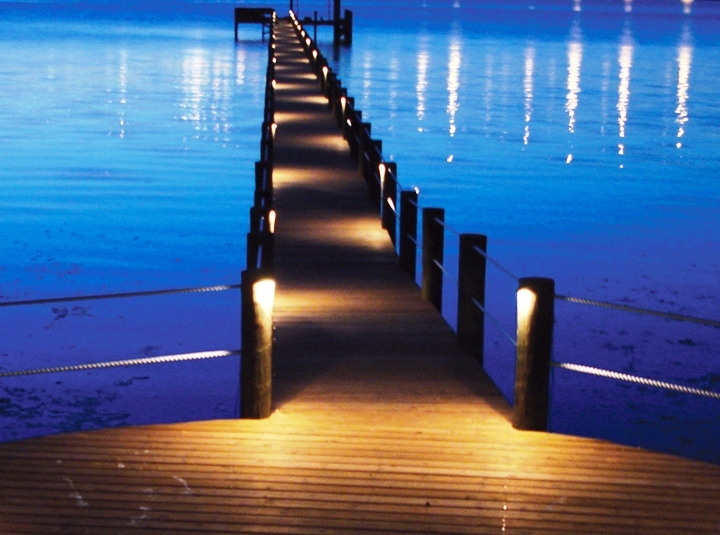 Ranging from weekly lawncare, irrigation installation, uplighting and full landscape installations. There isn't another company I would consider using in their place. Thanks for all your hard work! We worked with Bella Terra on a mutual customers' project. They were extremely pleasant and always got us what we needed. We definitely look forward to working with them on future projects. Bella Terra did a beautiful hardscape and plantings! Also a dry well to solve rain water issue. Thank you for all your efforts in making our patio a dream come true. It was such a pleasure working with you and your team. 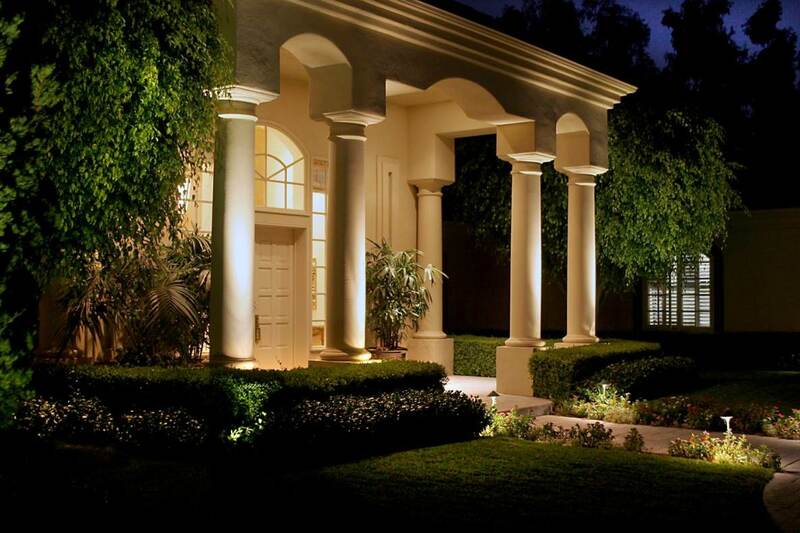 Bella Terra helped us with an extensive re-design of our landscape, and also handled the installation of the new design (including landscape lighting). We were very pleased with the design & install. 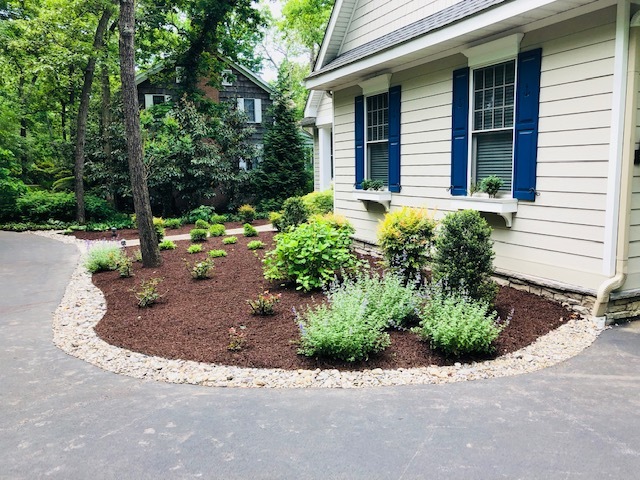 The designer listened to our "wish list" for a mostly native plant design that blended well with the surrounding area and created a great design with a nice mix of plant material. The lighting designer gave us valuable feedback on our initial plans, and what he recommended was a much better option for us than our original idea. All install staff were professional and hard-working - they showed up on time, cleaned up the property when they left each day. 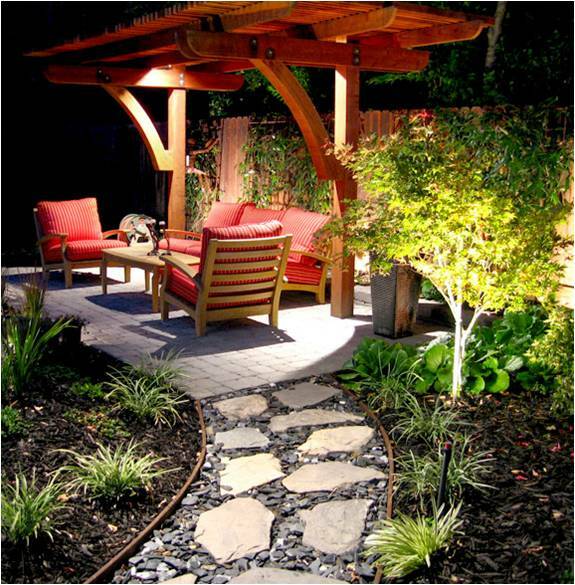 We would definitely recommend Bella Terra as a quality, professional, design/build landscaping firm. 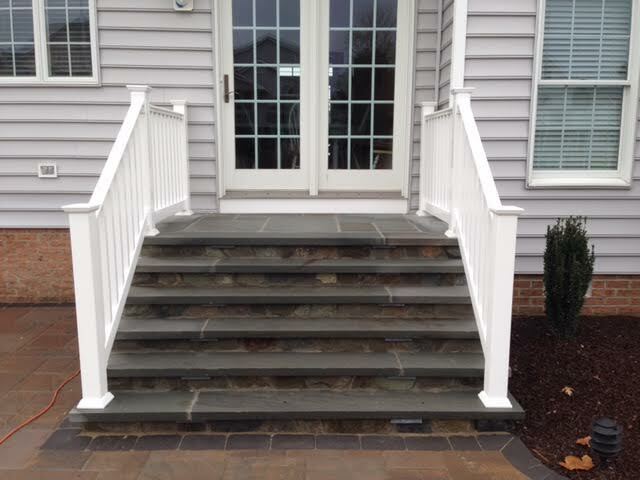 We just wanted you to know that we are thrilled with job you did at our home. It has transformed the look in a very positive way. 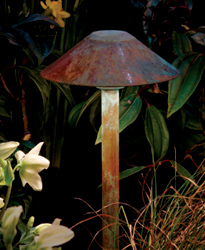 I personally used Bella Terra for our patio installation this summer. His team wa on time everyday, and you would not know that they were driving trucks, lawn care supplies over our yard. They did a beautiful job and the patio is amazing. His crew were such a nice group of people and professional. I couldn't be more satisfied with the job. Tim and his crew went about their work professionally and diligently and I learned something about pruning in the bargain. The place looks great. I've got just enough left to do to make me feel that I will have accomplished on my own. I can't say enough good things about this company. The staff are always available with ideas and suggestions to improve the appearance of our property. The landscapers are professional and courteous. I highly recommend Bella Terra for any landscaping needs. Megan was wonderful from the start of the planning period, through many changes, up to the completion of the project. The installation team were very friendly and efficient, even while adjusting plants to my very particular tastes. When it was time for the follow up visit, the guys worked quickly and cleaned up the area very nicely. Looking forward to seeing it all in bloom in the Spring. Bella Terra did a great job putting in lights at our office. Very impressed with the staff and the service they offer us. I would recommend them to anyone looking for a dedicated professional staff and a quality product. Sincere appreciation for your prompt service and expertise in fixing the grading and water issues associated with my driveway. your staff was proficient and courteous. Upon completion of their work, the area was cleared and returned to its original landscape. Despite the volume of rain that has fallen since then, water has not entered the garage or seeped into the basement. It was a pleasure to work with you and your company. I would highly recommend your services to customers facing similar issues. Our organization is Lewes Unleashed, the new dog park in Lewes, Delaware that opened August 2016. After the recent rainy fall, the park developed a large pond in the center of the site, which some wanted to call "Lake Paw Paw". Other owners weren't laughing because, while the dogs loved the mud, their cars didn't. We contacted Bella Terra and another large landscaper. Bella Terra developed a plan and estimate for the work in record time. 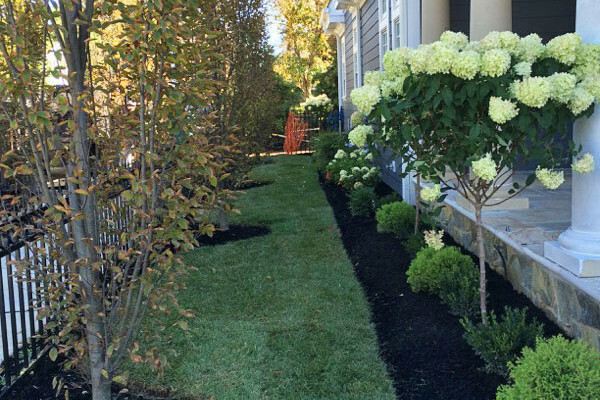 Even though fall is an extremely busy time for landscapers, they made time in their schedule and got the work done - on time and at a reasonable cost. The other landscaper took one look at the project and said they needed to do more research -- and never got back to us. Thank you Bella Terra for working to solve a complicated problem. The dogs thank you too. I am writing to commend the excellent service I have received from Bella Terra. 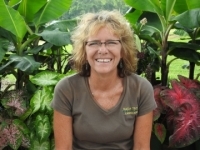 I came to Bella Terra through Erin Walls who has been shaping my garden with grace and excellence over many years. She is the consummate Landscaping Designer. 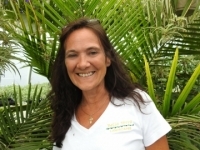 She is always polite, knowledgeable, and an excellent interface between Bella Terra and your clients. Erin thinks and designs gardens in 3-dimensions. She is familiar with every type of plant and tree. She knows which will resist rabbits, do well in the sun or shade, and has drought resistance etc. 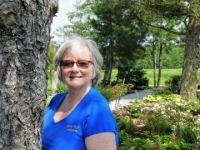 She is an encyclopedia of gardening and plant facts and always goes beyond the call of duty to get the work completed. When large installations are being done she places the plants to be installed exactly where she wants them then steps back to evaluate the form. And by the way, she does the best pots and planters both inside the house and on the decks! She designed and implemented an entire tubular watering system for 15 pots on the decks and property that has worked perfectly. Without this system, I could not leave my property for any length of time since the plants would die. That is a tremendous asset. 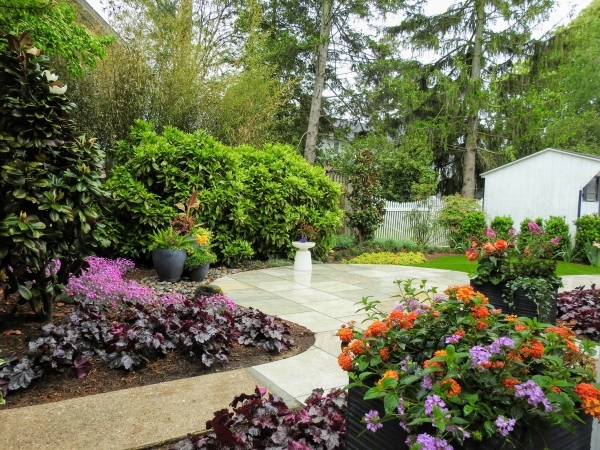 Erin alone has done all of the landscaping and hardscaping beautification of our home and property. For that I am so grateful. I will follow her wherever she goes. In addition, I would like to offer my highest accolades to the work crew that has been managing my property. In particular, Danny Kelso has been extremely helpful and accommodating. He listens carefully often taking notes when we discuss modifications I would like made or changes I want. He gets plants moved around the garden effortlessly and is always polite, knowledgeable and has excellent interpersonal and communication skills. I have watched him spend months trying to perfect a grass bed by pulling out a persistent species of weed. He succeeded and his tenacity should be commended! He is a very hard worker during the installs and maintenance. He is a tremendous asset to Bella Terra. If there are incentives for excellence in employee performance, he should receive one. One of the workers named Julio is familiar with my property and takes great care to help me with various requests. I have watched him pay great attention to detail including the weeding, trimming and clean up. He spent a long time once picking up the dropped leaves from Magnolia trees that are up against our shower stalls. It was a tight space to access and he was down on his knees for a long time in an uncomfortable positon until everything was cleaned up. He has demonstrated amazing strength when doing installs. He makes a sincere effort to communicate clearly with me and we always manage to understand each other very well. He is a pleasure to deal with. It is also always a pleasure when Keith swings by to check on the progress and status of the property. He too is always a gentleman and helpful with suggestions and astute observations about ways to modify or improve things with the garden. I always try to buy the crew a beer but they resist and I have to pass out some cash and bottles of Gatorade. In closing, I am so happy I am a client of Bella Terra especially when I hear the horror stories my neighbors tell me about the frustrations they have with their landscaping companies. My property is a shining star in the Ocean Breezes Community. I get many compliments on the landscaping from neighbors. Often when rental families stroll through the neighborhood they will ask me if I am the home owner so they can tell me directly that; “your garden is the nicest in the community”. That means a lot to me. Thank you for providing such an excellent staff and service. I am available anytime if you ever need to talk to me about this commendation or anything else. We have used Bella Terra since our original landscape installation (new home was surrounded by bare dirt) in early 2012. They are knowledgeable, courteous and thorough. Our labor-intensive garden is in good hands with BT. Great design vision, quality materials and superior follow-up resulted in a 5 star result. Kyle at BellaTerra responds quickly, very helpful, and is customer focused and friendly. We look forward to working with him on our irrigation needs!! Thank you - what a wonderful job!!! We made the right choice of contractor. Our new corner garden with wall, etc. looks great. I can't wait till spring when we can start planting. Thank you. Bella Terra is a great landscape company and they keep my yard looking impeccable. They always show up, complete the jobs in a timely manner, and have the most friendly employees. We highly recommend this company. Bella Terra is always there for us. Excellent and prompt service for over 10 years, including snow removal . BTW Danny, we are waiting patiently for your spring pruning. We hired Bella Terra Landscapes to build a hardscape front patio on our home. 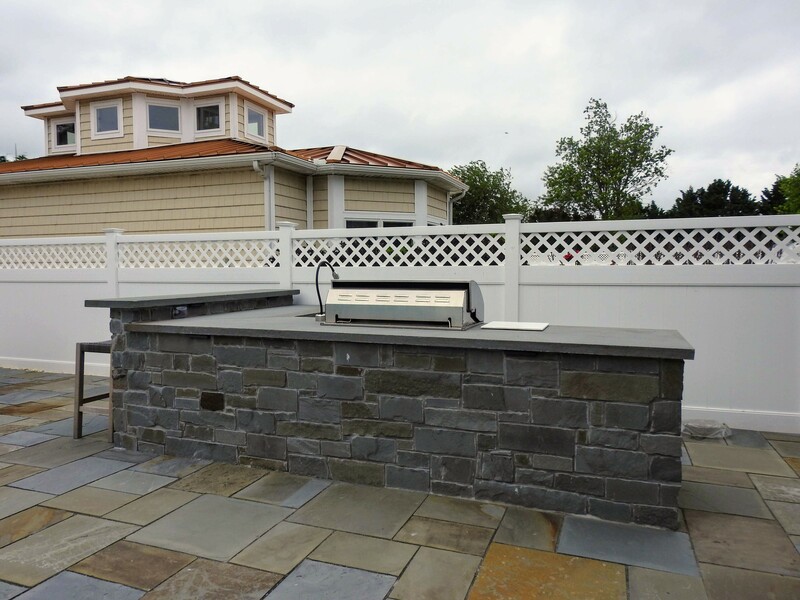 The owner, Mike Schimmel, came to our home to give us an estimate and right away we were impressed with his presentation of ideas for the patio. He gave us a little background of his company and we were equally impressed with the fact that he and his staff, on a regular basis, keep their certifications current and attend classes in the field to always provide for new and innovative ideas and techniques. Mike sent a 4-man crew to our home and each member of that crew was dressed in uniform provided by Bella Terra. Mike would show up everyday at our home and discuss the plan for the day with the crew. Each guy knew their daily role and they hardly took break. Each member of the crew took pride in their work, checking and rechecking each move they made. The finished product was spectacular!! We have gotten so many compliments from neighbors on the job --- and we have given out the 8 business cards Mike left for us to neighbors who are now interested in having Bella Terra doing some work for them. Overall, Mike and Bella Terra Landscapes is a great company, with a great crew!! Mike was always available and returned our calls in a timely manner. You really get what you pay for with Bella Terra Landscapes. We highly recommend this company for any of your hardscape needs!! We would hire this company again in a heart beat!! Thanks Mike and Bella Terra Landscapes!! 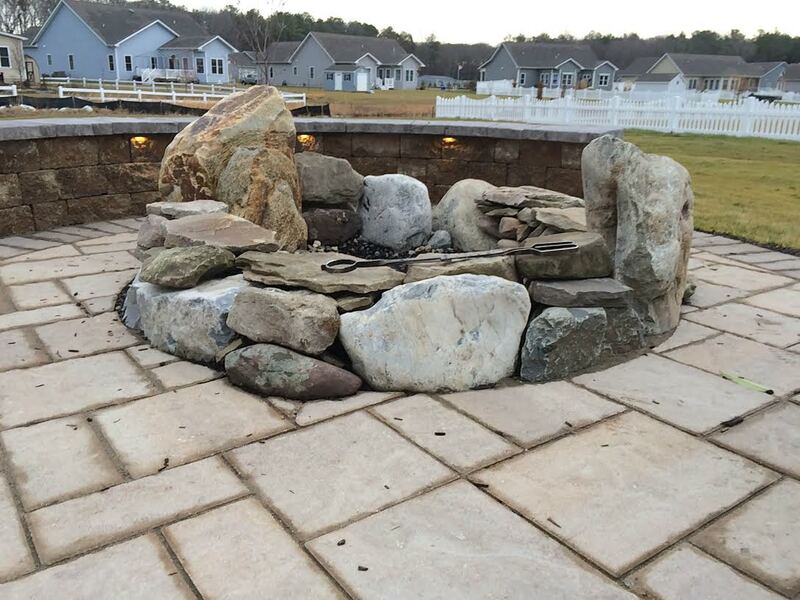 We wouldn't have anyone else do our hardscaping and landscaping work. 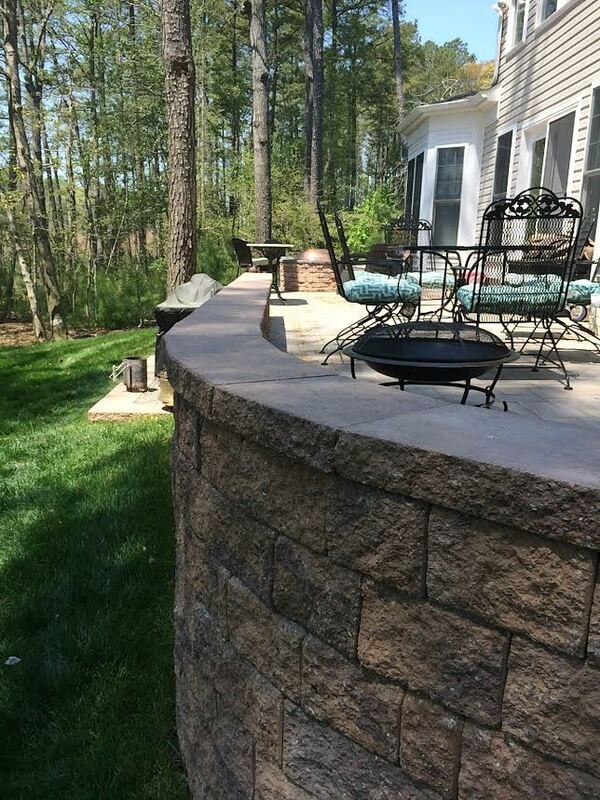 We've used Bella Terra for quite some time and are always thrilled with the work they do. Prompt, hard-working, thorough. We highly recommend this company. Bella Terra exceeded our expectations for our hardscape patio with lighting and landscaping - from design to finished product! We shopped around and no one else compared. Nearly every day, our landscape designer was on site, and some days the company owner was even present, ensuring the project was perfect. This company takes pride in their work and it shows. We didn't use the lawn space prior to having the patio installed... now after less than two weeks, we have used it almost every day and already can't imagine it any other way. This was an investment worth every dollar. One Call Services has referred our clients to Bella Terra for many years. They always deliver great service and a great product. They are our "go to" landscaping company. Their design work is impeccable, and their attention to detail is second to none! Love Bella Terra! Great people, great work and fair pricing! 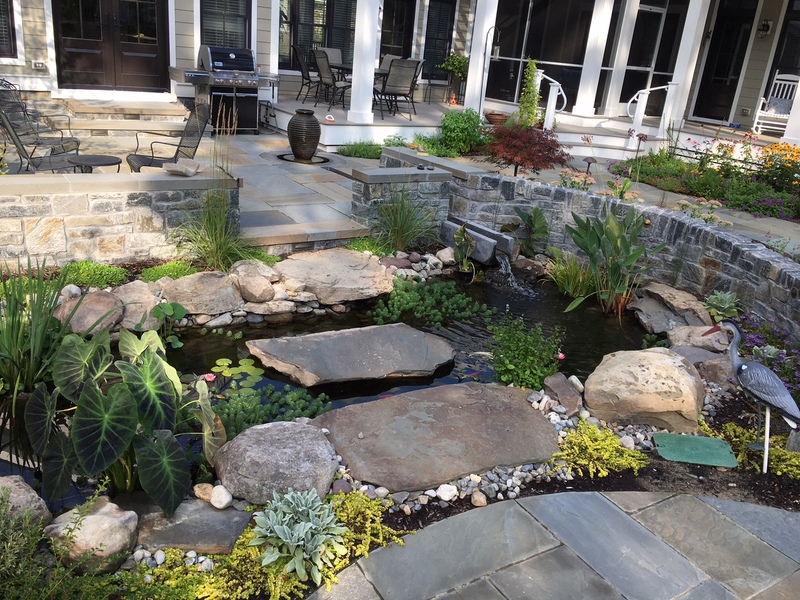 I own a real estate development company in DC and have worked with many landscape co's, I highly recommend Bella Terra! We recently moved from Connecticut to Lewes Delaware to a custom built home and art studios. We had a very elaborate landscape design in mind and as artists, with high expectations - lawns, large fish pond, patios, stone walls, breezeway, fountain and a runnel feeding the pond, land fill and elevation management, shed, English style gardens, trees, irrigation system, drains, walkways, lights, outdoors spa, fence, irrigation system well / pump, trellis and more. The building company was overwhelmed by our requirements and did not think that any of their regular landscape companies will have the ability to produce our design until they found Bella Terra Landscapes. They came through for us with flying colors. Not only the crew accomplish all the work, they also exceeded all of our expectations in every way. We don’t normally write reviews, but Bella Terra Landscapes was so great we felt that we had to do something to show our appreciation. This is one of the best companies we have ever dealt with and we going to recommend them to everyone that needs landscaping. They were extremely professional, creative with ingenious ideas, patient, and helpful through our whole experience. Their customer service was extraordinary from Mike, the owner, Justin, the designer and all the way through the crews and everyone that worked at our property. They were all incredibly polite, hard working and helpful every step of the way. If you want an honest estimate and authentic work, this is the company for you. They stuck to the budget and schedule from the estimate even when we made some changes to the original plan while they were working. Every step of the way they explained everything they were doing and fixed every problem, big and little, that came up. They even worked directly with our home builder to correct problems with the drainage pipes and helped us with approval issue with our HOA. 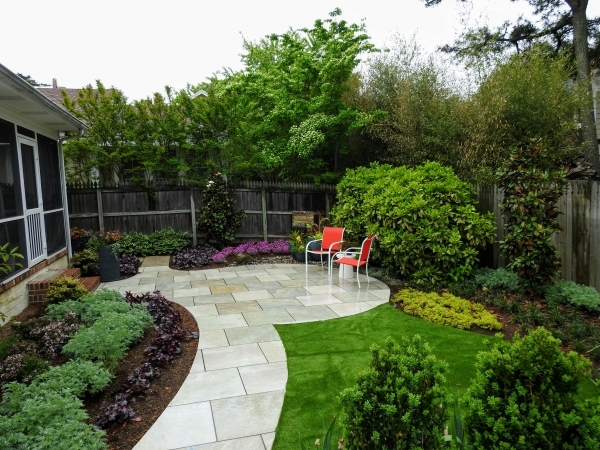 We will of course use Bella Terra Landscapes for all of our landscape maintenance needs. Great company. Professional service. A pleasure to work with. They did an excellent job on my lawn, arrived when they said they would and the cost was reasonable. A great small business to support. Great customer service! They do what they say they will in a timely manner. I have never been let down by them as they take personal responsibility for their work! I wanted to thank you for the outstanding work that has been done here! It exceeded my expectations. Your team was tremendous and your vision realized. I very much appreciate your approach and customer focus. I look forward to moving on additional projects to bring this yard into splendor. Thank you very much for your attention to detail and superior workmanship. Megan our project manager at Bella Terra Landscapes and the entire crew were the most responsible, impressive company I have EVER worked with in my life. Their quote was very accurate and quick and provided all details and photographs. They walked the site to get all our desires and translated them into the project beautifully. The owner was on site as well as many workers so the work was done quickly and quietly. They alerted us to things that we may want to upgrade or change like existing water pipes that were not the best and they adapted our underground sprinkler to self- water all the plants. I cannot say enough good things about this company. They well exceeded every expectation I had. They are artistic and did great designs. We love the plastic boxwood they found a way to attach it to our white vinyl fence and it looks fabulous. We asked for the look of a "W" Hotel and we got it !! Thanks Bella Terra !! 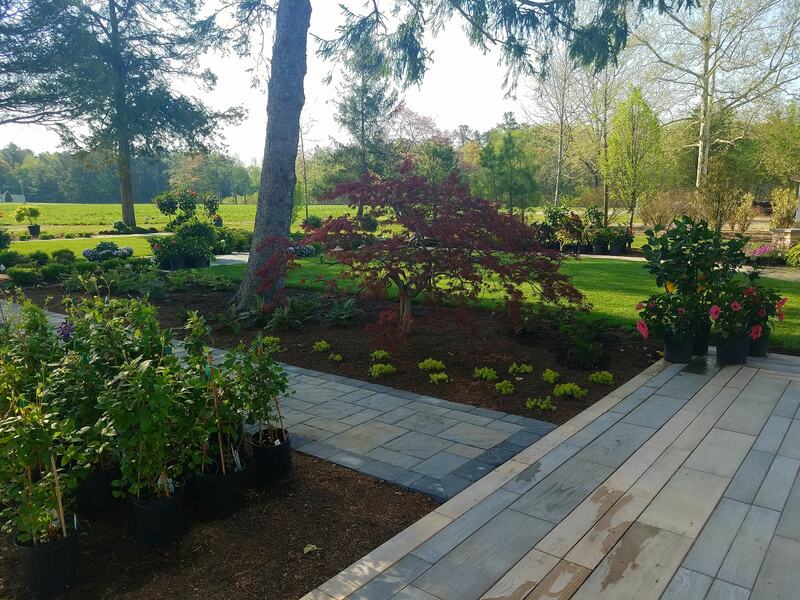 We had our new home landscaped by Bella Terra last fall, and this spring we had them install a beautiful paver patio surrounded by arbor vitae trees ... everything is SPECTACULAR. Our designer, Megan Francisco was a joy to work with and helped us design everything perfectly. The landscaping teams are talented professionals who take pride in their work ... they weren't happy until everything was perfect. 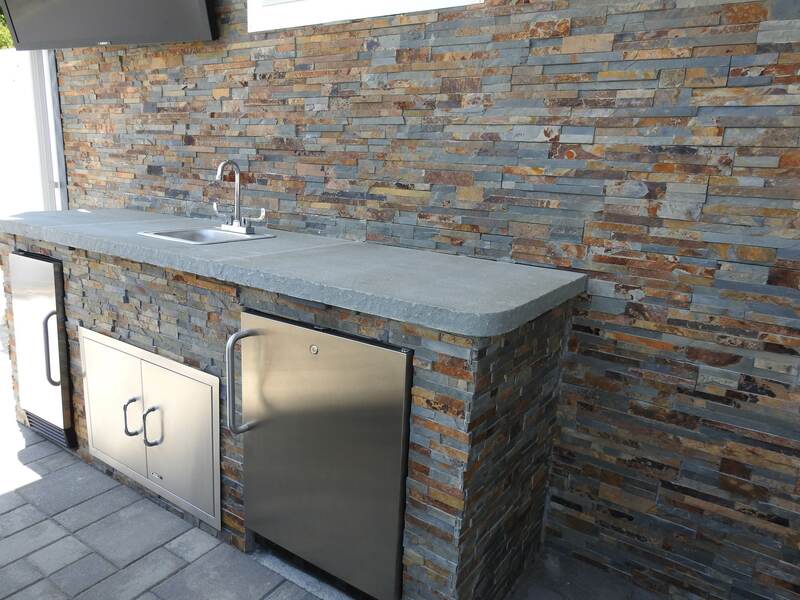 The hardscape team who installed our pavers were truly artists at work. We could not be happier. We highly recommend Bella Terra to everyone! If combining the highest level of artistic ability with extraordinary technical expertise is what you're looking for, look no further. Bella Terra TRANSFORMED our property into a take-your-breath away wonderland that literally causes passers-by to stop in their tracks to take it all in. What Bella Terra did blesses us each and every day. Highly, HIGHLY recommended! I LOVE LOVE LOVE the new landscaping. You did such an amazing job. It is truly beautiful. Thank you soooo much. I never have to call. Bella Terra are on their game at my property! 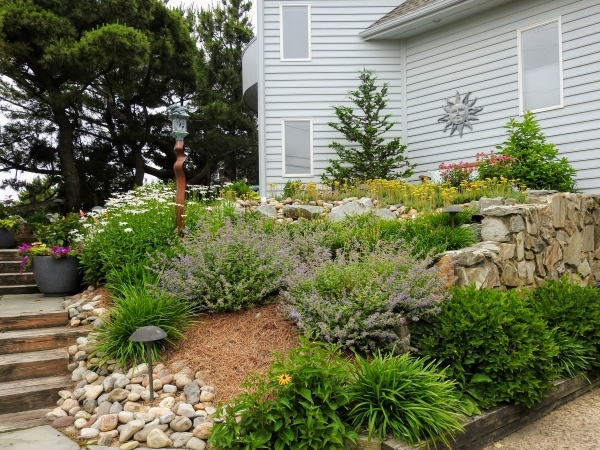 Brandywine Living in Rehoboth are proud of our Landscaping. Thanks Bella Terra! I want to thank you and the crew for all of the work you put in this last week. Ray took the liberty of sending a couple of pictures and we couldn't be happier. We are especially excited about getting the grass as hopefully it will help keep the mud and sand out of the house. Again, thank you for your efforts. When we called, Bella Terra came... immediately... and fixed our light outages. Excellent service. Highly recommend this company. From start to finish the irrigation job was superb. Kyle came out to look at the property and explained exactly what would be done. I especially liked the fact that they would plow instead of trench, leaving minimal disruption of the existing turf. The quality of work was excellent and the system works as designed. One small problem with the rain sensor, which Kyle is looking into. Overall an extremely satisfactory experience. Just a note to say how pleased we have been with your service. The finished product is exceptional. Your service staff are polite, efficient and professional. Thank you. Look forward to continued quality work. Bella Terra does beautiful work. They are very responsive and willing accommodate any special needs. I highly recommend them. The article isn't found. Please enter the correct article into the shortcode. 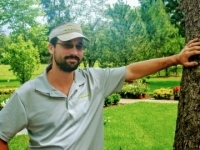 Mike is the heart and soul behind Bella Terra Landscapes. He keeps his finger on the pulse in every aspect associated with the business, promotes a favorable company culture, and continues to expand and refine the company vision. He grew up in Middletown, Delaware and attended Hodgsen Vo-Tech where he pursued Culinary Arts and Horticulture. After spending summers with family in Rehoboth and Bethany, he decided to move south in 2000 where he began cooking in restaurants; most notably Restaurante Zebra and The Buttery. In 2004 he and his wife Katie started Bella Terra Landscapes and the company has continued to grow and thrive ever since. In his spare time, he enjoys boating, fishing, and going to the beach with his wife and their two sons, Nicholas and Christian. Keith has served in many capacities at Bella Terra since 2008. Although he has an office now and spends as much time at his computer as he does in the field, he understands all aspects of the job, which makes him an excellent, well-respected manager. 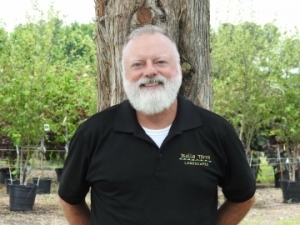 He is a firm believer that the organic culture Bella Terra promotes with both employees and clients has been instrumental in the companies’ growth, adding a cohesiveness that brings out the smiles of team members, which in turn creates happy clients. 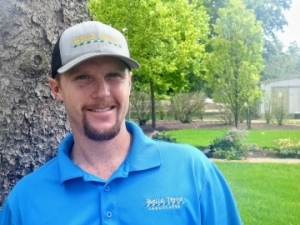 Keith holds National Recognition as a Certified Landscape Technician and is also a certified Delaware Commercial Nutrient Handler. He oversees all aspects of the landscape maintenance division while nurturing Bella Terra’s reputation of customer service and satisfaction. Like Bella Terra, his motto is “meeting and exceeding customers’ expectations.” Any free time Keith has is dedicated to his wife and 3 boys. He can often be found coaching sports and enjoying the beach. A self-described plant geek, Megan has been helping her clients enhance their properties’ natural beauty and potential since 2004. 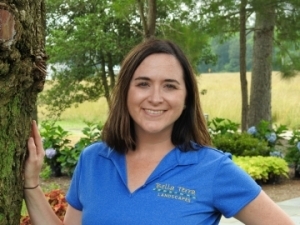 She is certified with the Delaware Nursery and Landscape Association as a Nursery Professional. She has a diverse array of experience in the green industry that includes research at the National Arboretum, as a horticulturist and consultant for private estates, and in her current position as a landscape designer. Her education includes a Bachelor of Science in Earth Science from Frostburg State University with a minor in Biology. She is grateful for the opportunity to combine her love for plants and artistic eye to help her clients create an inviting outdoor retreat of their own. When she is not designing landscapes, Megan loves spending time with her husband and two children, socializing with family and friends, running, and of course – gardening! 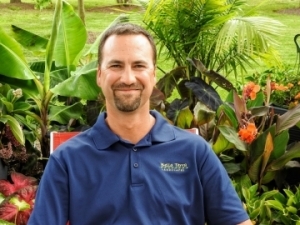 Justin Bartels has a passion for landscape design that is evident in all that he touches. His vast experience in the industry (over 28 years) has given him a perspective and a flair that is second-to-none, while his quick wit and infectious laugh make him a delight to work with. 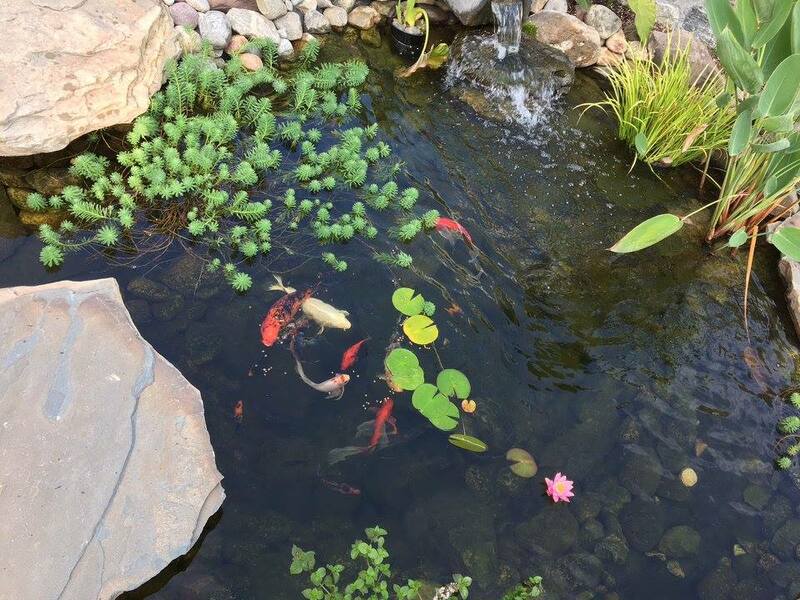 He has a degree from the University of Maryland and completed additional landscape design studies at George Washington University. 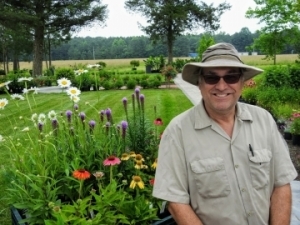 He is also a Certified Landscape Design Specialist as well as a Certified Nursery Professional with the Delaware Nursery and Landscape Association. 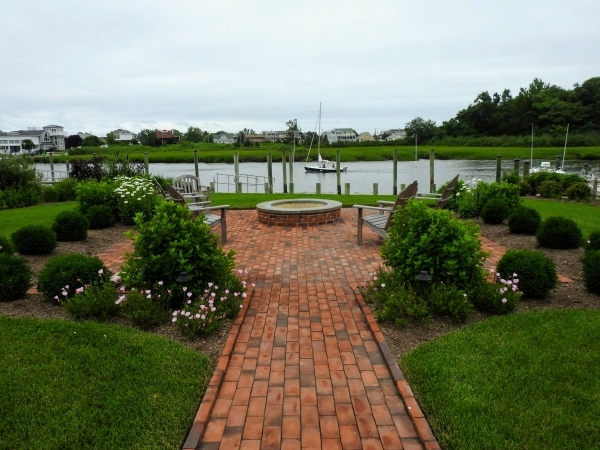 Since moving to the Delaware Seashore area 20 years ago, Justin has been happily matching clients with the landscapes of their dreams. When he’s not working, you can find Justin spending time with family, socializing with friends, and hanging on the beach. 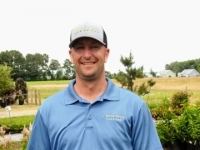 Danny Kelso has been with Bella Terra since 2012, and currently serves as an account manager for our Maintenance Division. Danny is a certified member of Nursery and Landscape Professionals, specializing in ornamental and plant maintenance. Not only does Danny have a great rapport with clients and go above and beyond to ensure client satisfaction, he is also an environmentalist at heart, and cares deeply about preserving the beauty and sustainability of nature. When he’s not working, Danny can be found mountain biking, hiking or camping with his wife and two children. Keith Hitch joined the Bella Terra Team in 2015, and currently serves as an account manager in our Maintenance Division. Keith is a graduate of the Air Force/Army/Marine Corps Fire Academy. Ranked at the top of his class, he served on a rescue squad for both Hurricane Charlie and Hurricane Frances while he was stationed at Tyndall Air Force Base in Panama City, Florida. After being honorably discharged from the service, he moved back to the Eastern Shore, and started planning a new career path. When he decided to try landscaping, he found that he was a natural. 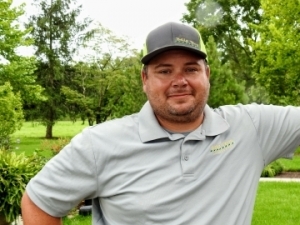 He worked his way up in the company from crew member, to foreman, to account manager and joined the ranks of Nationally Certified Landscape Professional's. Keith's military career has instilled in him the attention to detail and dependability that our clients rely on. When he is not at Bella Terra, Keith loves to ride motorcycles and spend time with his family. 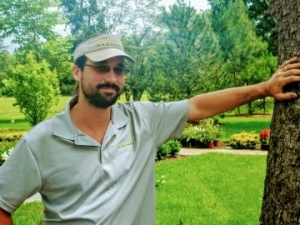 Jimi is the project manager for Bella Terra's Install and Hardscape Division. He brings 10 years of experience with him along with Stihl Equipment Bronze & Silver level training. Jimi loves the challenge of fulfilling the ideas and dreams of clients. When he is not working, he enjoys being outdoors and spending time with this wife and two children. He also serves his local, volunteer fire company where he has served as Ladder Captain, Engine Captain, Rescue Captain and Assistant Chief. 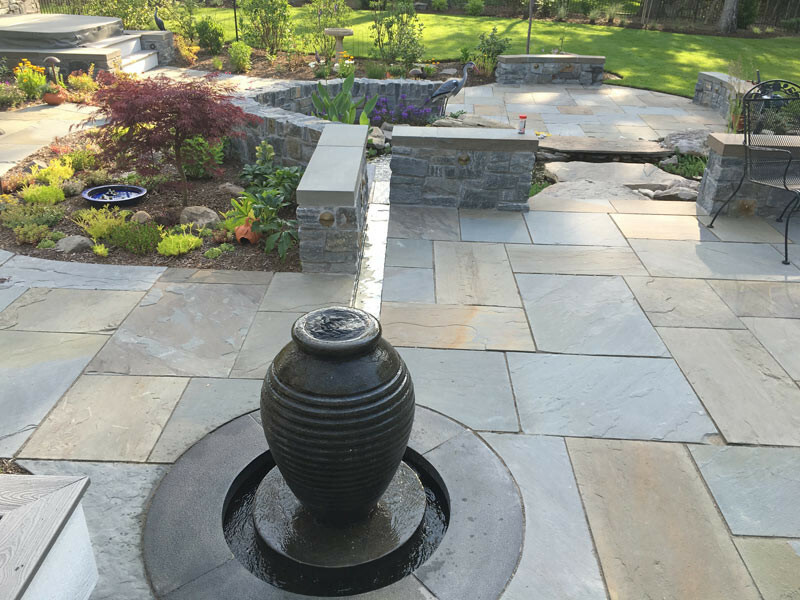 Jane handles the accounts payable responsibilities for Bella Terra Landscapes, ensuring that vendors are paid in a timely manner, monitoring employee expenses, and making sure the budget is balanced, the books are reconciled, and the taxes are paid. Jane is a transplant from Bergen County, NJ and now calls Milton, Delaware home. 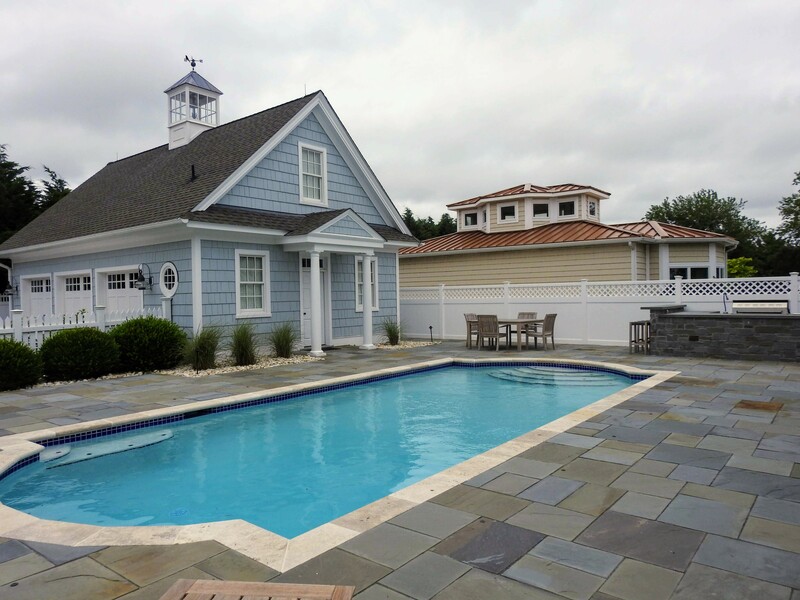 After working at corporate headquarters for The Movado Group, where she managed financial and security audits, she is embracing the slower pace of Sussex County and loves her new home and the surrounding beach area. Lana plays a supporting role in the day-to-day operations of the company, which offers her the opportunity to learn various aspects of the business. Lana loves wearing the many hats required of her and the versatility that brings. She takes pride in representing Bella Terra Landscapes and acting as a spokesperson for the team. A native of Cleveland, OH, Lana moved to Delaware 4 years ago. She still makes frequent trips back to see family (and cheer on her favorite hometown sports teams! ), but these days she can be found enjoying the slower pace of Southern Delaware - at the beach, reading a great book, or quilting. Hope grew up gardening in Delaware and has turned a well-loved hobby into a career. 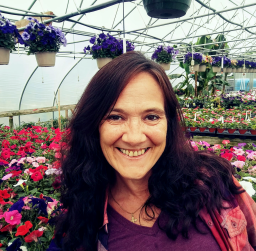 She has over 20 years of experience in the industry and loves working with plants and people, especially doing floral arrangements and garden containers. In her role as nursery manager she ensures that our plants receive the attention they deserve, making them vibrant and healthy for our clients. She also assists our designers and managers by tracking down plants and trees that we do not grown onsite. Her relationships with our vendors, as well as her plant knowledge, is key in the day-to-day operations and scheduling of new landscaping projects. When Hope is not working, she enjoys spending time with her family in her native Dewey Beach. Steve is our resident grower. From seeds to cuttings, he ensures that the magic happens in the greenhouses, and puts stock in the term “green thumb.” Steve is passionate about plants! In fact, he has been working in greenhouses since 1974. His profession as a grower has taken this native Virginian to North Carolina, Pennsylvania, Colorado, and finally Delaware. 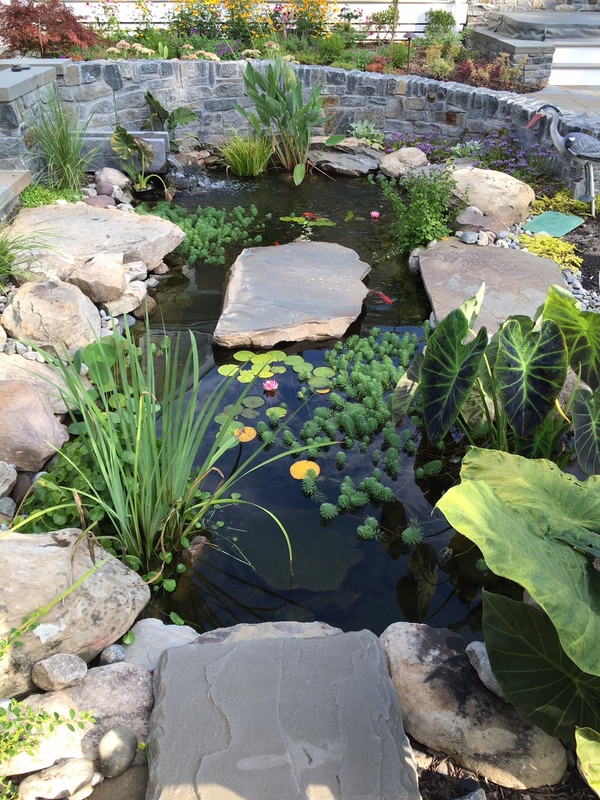 Prior to coming to work for Bella Terra Landscapes, he worked in Lowes Garden Center as a plant specialist. Although we do order in some plants at Bella Terra, most of the glorious flowers and plants you see when visiting were grown onsite by Steve. In his spare time, he enjoys working on his vast collection of HO model trains. 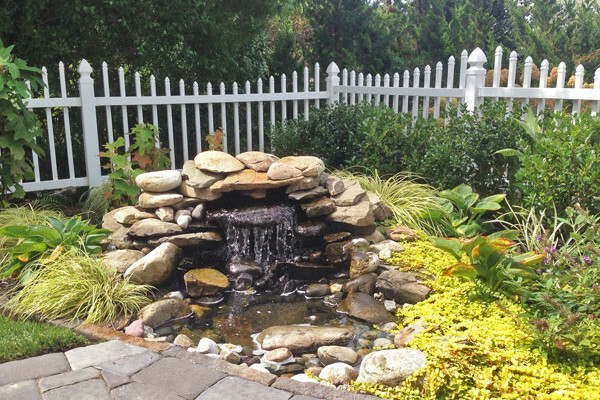 One of our landscape designers will discuss your project with you in order to determine how best to achieve your vision. A meeting will be scheduled at your home to establish your project budget, scope and and whether or not a formal design is required. We will provide you with a written proposal based on the previously determined budget and design elements for your review and approval. The proposal will specify all material selections and list all included work. 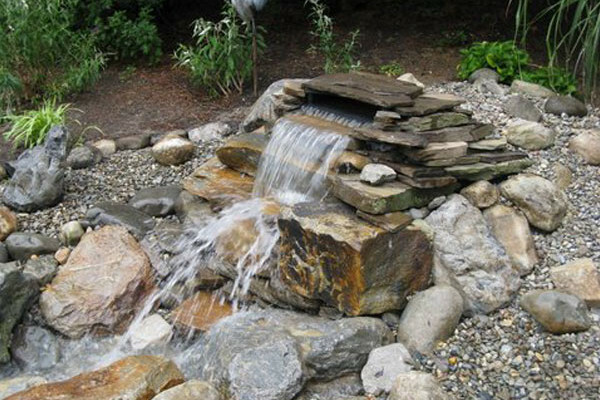 A design Agreement and Fee will be presented based on the landscape and hardscape elements to be included in your project. This will also take into consideration the estimated budget range established for each element or phase. To initiate the design process, a deposit and signed design agreement will be required. The balance of the design fee will be due upon presentation of final drawings. Note: If installation is contracted through Bella Terra Landscapes, a portion of the total design fee will be applied toward the installation contract price. Our team will visually inspect the property to verify that existing site conditions are accurately shown on the property and/or plans provided by the client. Existing structures, spot grades, utilities, general soil conditions, and over-all site conditions will be noted to determine the most appropriate use of both plants and construction materials. If it is determined that current site conditions do not match that of the provided plans or if no plans exists, further data collection will be required before proceeding. This work will be completed for a nominal fee. Scale drawings shall be prepared showing existing structures noted during the site analysis visits, and indicated on any existing site plan and/or property plans. Conceptual plans shall be prepared using base map information and will reflect client preferences as well as concepts of new design. Preliminary plans will be drawn to scale and will include general information regarding types of material, variety, and size. Final plans shall be prepared from preliminary plans, ideas, and client feedback. Final plans will include scale working drawings with indicated location, and specifications of material proposed. Further support drawings and digital models are available upon request for a fee. Before any work begins, Bella Terra will hold a preconstruction meeting onsite with all production managers involved in your project to assure that each phase of construction moves smoothly. Upon completion of your project, a final walk through will be conducted with you, the project manager, and the sales person. At this meeting, you will be presented with a closing package to include a copy of your plan and contract, all care guidelines, warranty information, product information, and any other project specific information that may prove important. 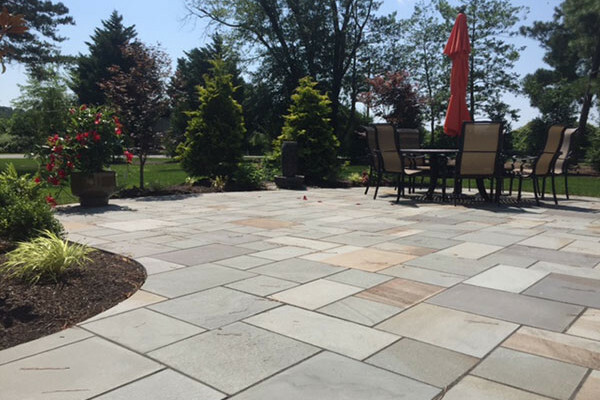 Once your project is complete, consider having Bella Terra Landscapes maintain your beautiful outdoor space. 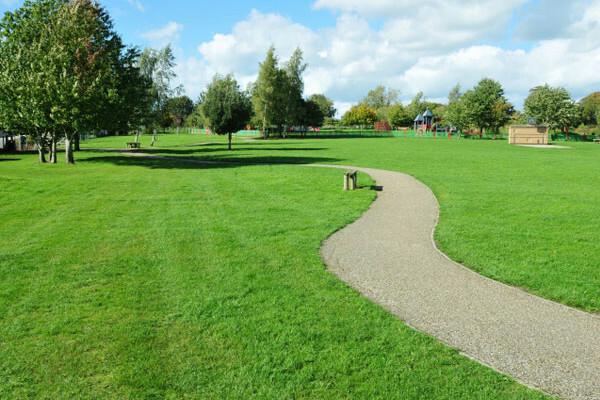 Our landscape maintenance division offers a full range of property management services including but not limited to mowing, turf & bed fertilization, weed control applications, edging, mulching, and pruning. 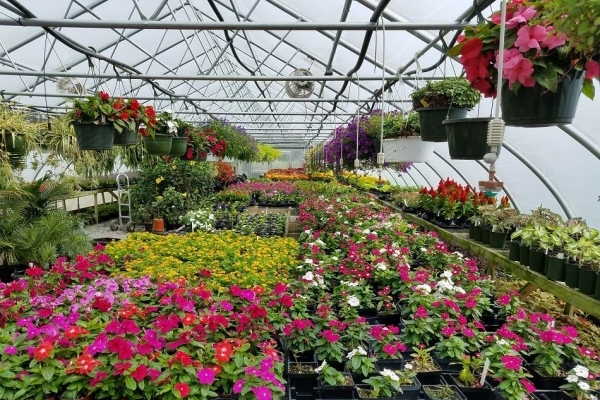 We also offer specialty services such as seasonal flower rotations, landscape renovations and enhancements, plant health care, irrigation and lighting services, and snow removal. 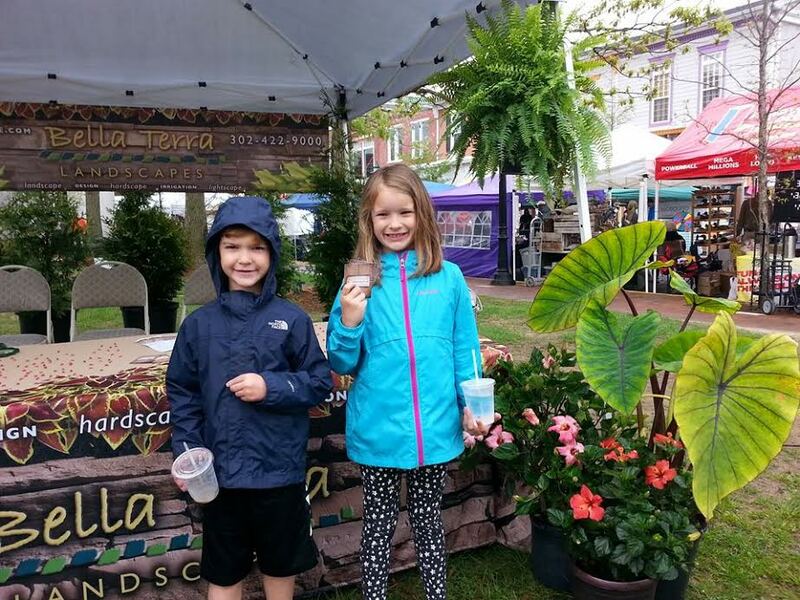 While part of the Bella Terra Landscapes team was releasing ladybugs at Milford’s Bug and Bud Festival April 23, other team members were assisting Boy Scout Troop No. 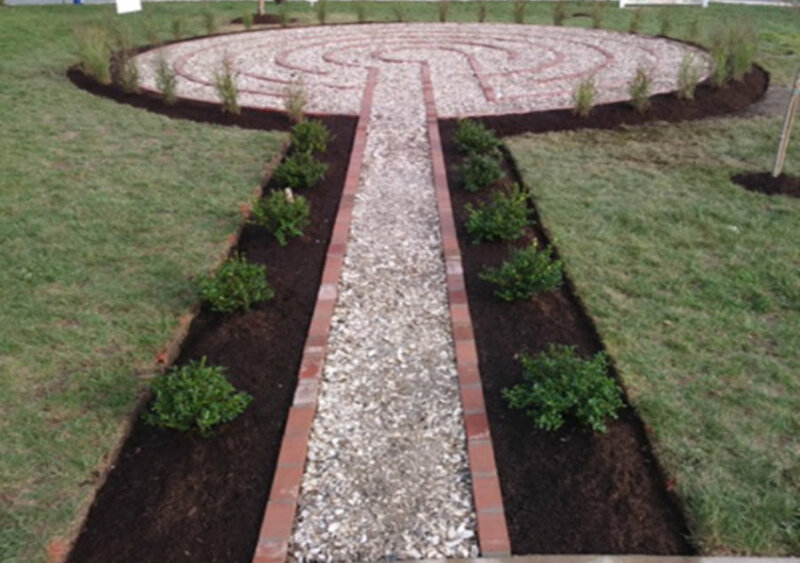 1 in Lewes as they worked at St. Peter’s Episcopal Church to rebuild the labyrinth on the church grounds. During the Bud & Bug Festival Bella Terra Landscapes handed out ladybugs to be released at home in a garden. They also release over 10,000 ladybugs in Milford's green spaces to deter pests. Bella Terra Landscapes employees pause after cleaning up Bella Terra Drive in Lincoln in the Adopt-A-Highway Program. Shown are (l-r) Keith Dickinson, Olvin Santiago, Jose Mejia, Provinciano Roblero, Douglas Coppock, Genaro Jimenez, Danny Kelso, Keith Hitch, Mario Ramirez, Rudy Rodriguez, Antonio Jimenez, Rafael Salto, Isidro Flores, Angel Maldonado, Juventino Torres-Diaz, Colan Nilan, Carlos Rivera and Eduardo Dia-Ramirez. Bella Terra Landscape took 3rd place with a float that included a actual working waterfall. 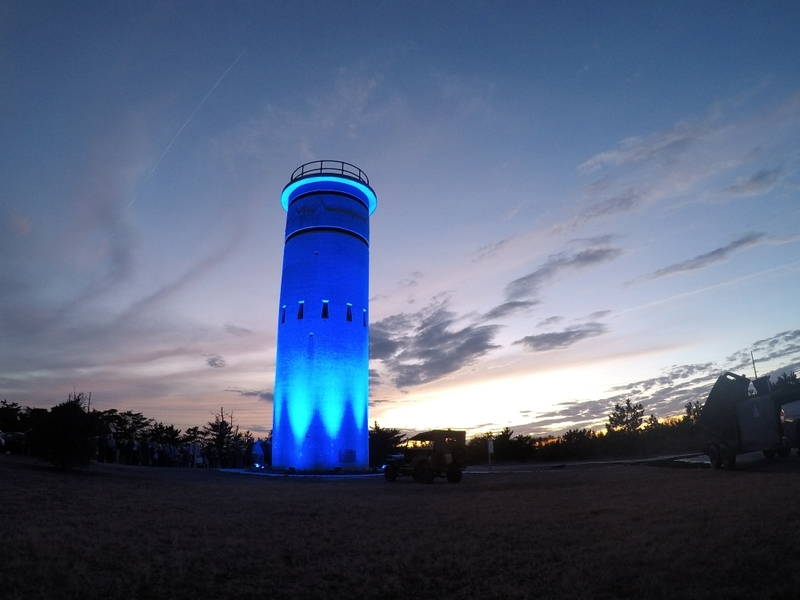 Delaware Seashore Preservation Foundation started a fundraiser 10 years ago to light Tower 3. In February, theorganization reached its goal. Nine cobalt blue lightssurrounding the base of the tower illuminate it each night. Fort Miles Historical Association and DNREC’s Division of Parks and Recreation. 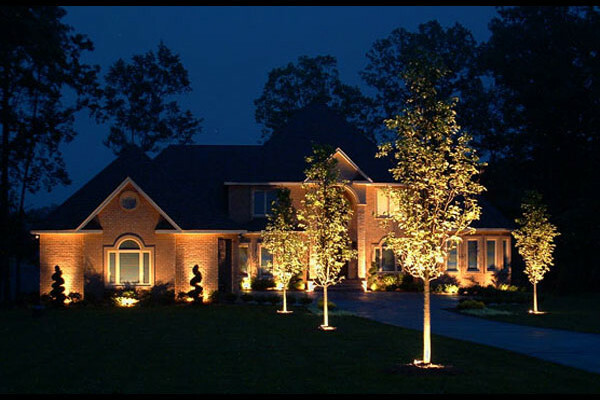 The lights were designed and installed by Bella Terra Landscaping and Lighting from Lincoln, Del. FMHA’s Bunker Busters cleaned the tower and power-washed it to look the way it did in 1943. 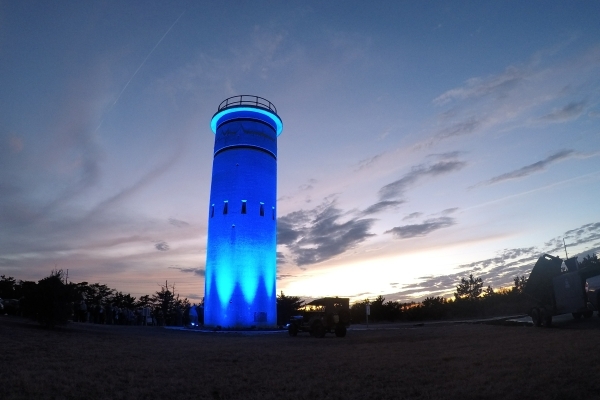 All the funds to light the tower, landscape it, install a glass door and new concrete around the base were raised by our partners, Delaware Seashore Preservation Foundation, the friends group of Delaware Seashore State Park. DSPF has received a challenge grant from the Longwood Foundation to help pay for tower improvement and the pavilion. The teams are working together to make it happen. The tower-lighting ceremony show ed the power of friends groups working with our state partners to improve a landmark. to rebuild the labyrinth on the church grounds. The labyrinth was built by St. Peter’s members in response to the Sept. 11 terrorist attacks in 2001.
as they seek tranquility or just want to experience the journey of peace that it provides. 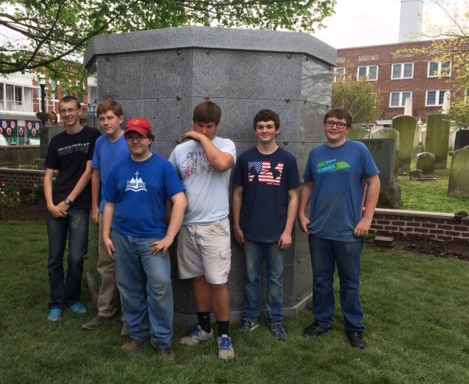 Troop 1 Boy Scouts and Bella Terra helped with the first phase of renovating the meditation labyrinth on the grounds of St. Peter's Church in Lewes. Scouts shown are (l-r) Trevor Simmons, Frank Carter, Austin Ross, Jonah Robertson, Will Warick and Chris Dean. 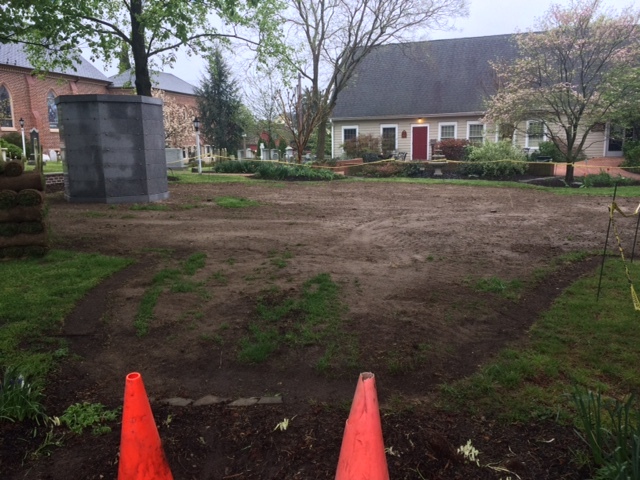 The labyrinth was deconstructed and ground was prepared for new sod. 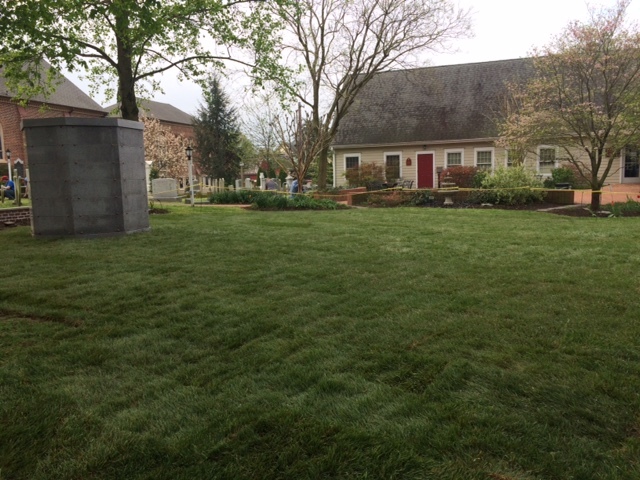 Bella Terra Landscape staff laid new sod on thesite where St. Peter's new labyrinth will be installed. During the Bud & Bug Festival Bella Terra Landscapes handed out ladybugs to be released at home in a garden. 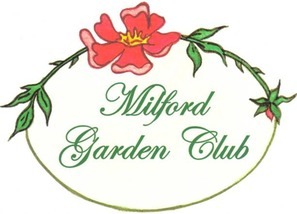 They also release over 10,000 ladybugs in Milford's green spaces to deter pests. Bella Terra Landscapes employees pause after cleaning up Bella Terra Drive in Lincoln in the Adopt-A-Highway Program. Juventino Torres-Diaz, Colan Nilan, Carlos Rivera and Eduardo Dia-Ramirez. 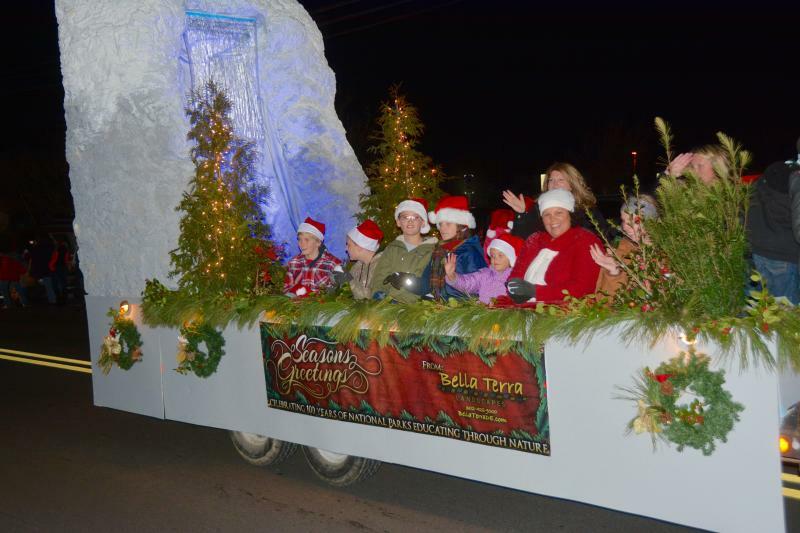 Bella Terra Landscapes did its part to clean up the environment and make the community more beautiful Dec. 17. 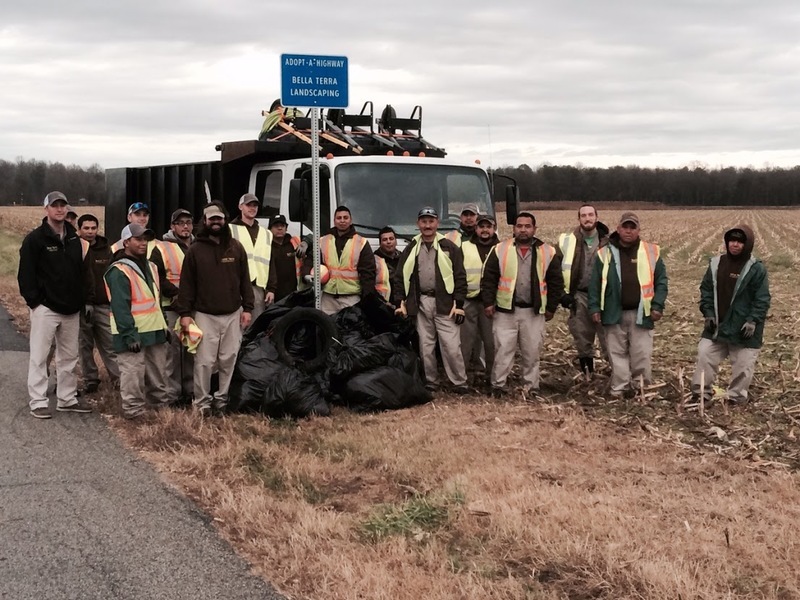 As participants in the Delaware Department of Transportation’s Adopt-A-Highway Program, staff collected trash along two miles of Bella Terra Drive in Lincoln. Members of Bella Terra spent over two hours collecting 30 bags of litter. "It was very rewarding,” said Danny Kelso, landscaping professional. To adopt a highway, individuals, organizations or businesses agree to keep a two-mile stretch of road free of litter for a period of two years. beginning and end of the adopted section. For more information, call 1-800-652-5600. 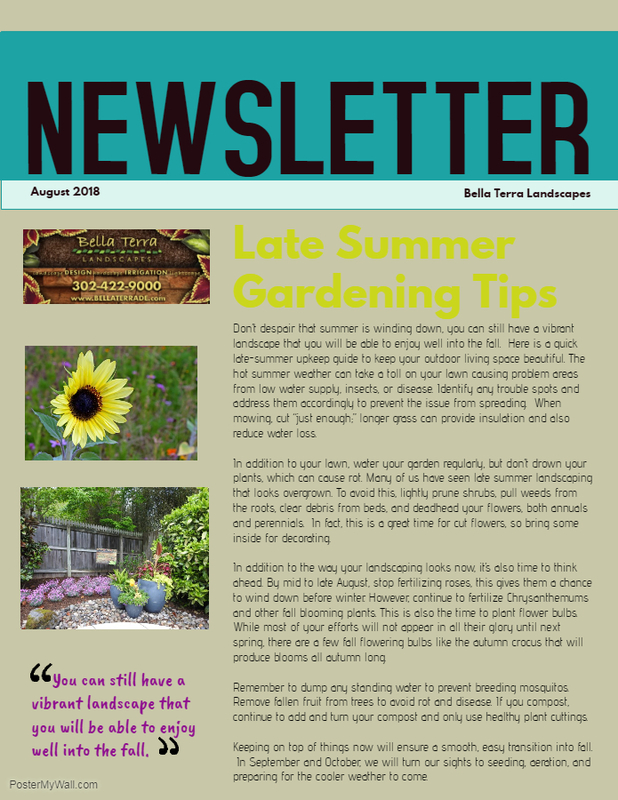 Copyright © 2018-19 Bella Terra Landscapes. All rights reserved.